No prizes for identifying this music in a blindfold test. Crashing, overdriven, organ-like chords; keening single note melodies, fatter and rounder than the polite traditions of “jazz” guitar would ever license. 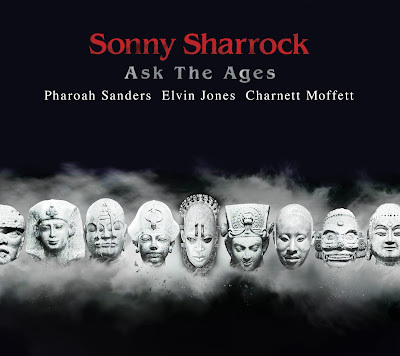 It has to be Sonny Sharrock. If anyone brought the full potential of electricity, beyond mere amplification, to the instrument in jazz, it was Sharrock, who died in 1994 just as his career was getting a second wind. 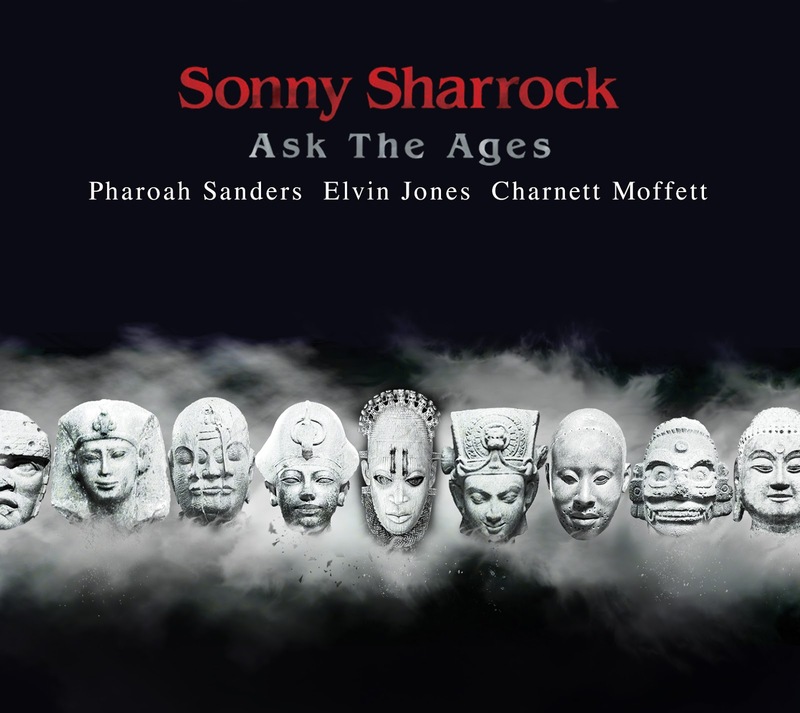 This set, recorded three years earlier, was produced by the man largely responsible for that revival, Bill Laswell, and Laswell’s own label now brings it back into print. It ranks alongside the superb solo Guitar and quartet recording Seize the Rainbow as Sharrock’s best realised works. But this one is the closest to his main source of inspiration, John Coltrane’s saxophone playing. That was emphasised by the setting, a quartet featuring Pharoah Sanders on sax, Elvin Jones on drums and the young (24) Charnett Moffett on acoustic bass. Sanders’ characteristic upper-register overblowing blends seamlessly with the guitar, and he has several ecstatic solo flights – though the leader’s solos are generally more incisive than his guest’s. Moffett plays more notes than he needs to some of the time, but when he relaxes works well with Jones, and Elvin is his excellent restless, polyrhythmic self, the six tracks here surely offering some of his very best late work. In combination, they make each of the cuts here striking in its way, sometimes using the slenderest materials. Promises Kept has Sanders launched on a fierce solo almost as soon as it has begun, as if he can’t wait. Little Rock, has a simple descending riff - barely a composition at all - that leads straight into an impassioned guitar solo, with a Hendrix-flavoured combination of distortion which somehow retains bell-like clarity, which seems to be just getting up a head of steam when Sanders barges in again, in a lower register than usual. Who Does He Hope to Be is a bleary lament, Sharrock’s tone set for maximum emotion, though a frantic bass solo breaks the mood. But the band work well together nearly everywhere, especially on the longest piece, the Love Supreme soundalike Many Mansions, which features Sanders on soprano. The feel leans strongly toward that of the Coltrane band around the time of the first live at the Village Vanguard sets, and the music is pretty well at that level, too. I’m not sure why a set released in 1991 needed to be remixed, especially as remix specialist Laswell presided over the original. The selections, and track lengths, remain the same, although the flickering firefly accents of Jones’ drumming do perhaps come through the mix with a little more clarity. But it’s good to have this one back as an actual CD; to remember Sharrock the electric pioneer; to be reminded that there are Coltrane-fixated guitar players apart from John McLaughlin and Carlos Santana; and because there is music here of enduring power.